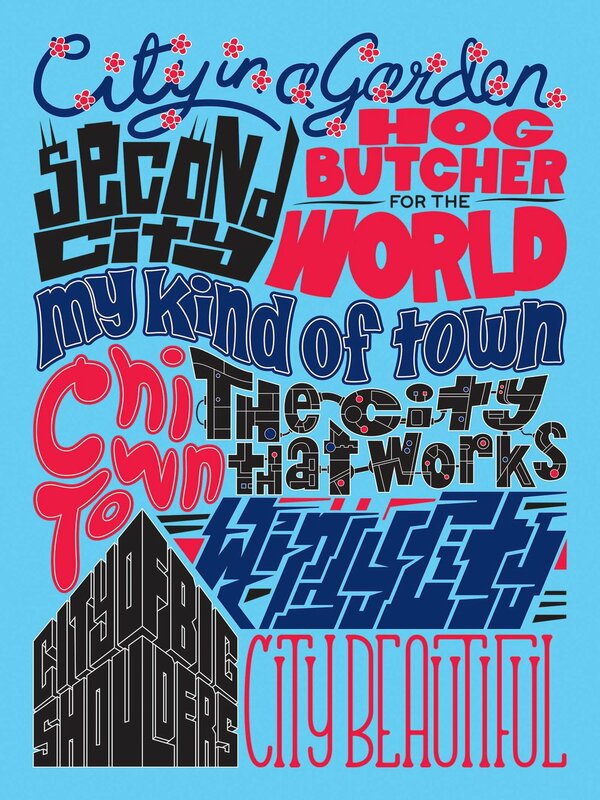 Windy City...My Kind of Town...Second City...Chi Town...Chicago goes by many names. While this print is not a complete list of every nickname, it highlights some of the more popular, oldest and recognizable names of The City That Works. Windy City...My Kind of Town...Second City...Chi Town...Chicago goes by many names. While this illustration is not a complete list of every nickname, it highlights some of the more popular, oldest and recognizable names of The City That Works. Click here to purchase a 18″ x 24″ limited edition screen print of this illustration for $40.00.